I think these crows are smarter than some humans. 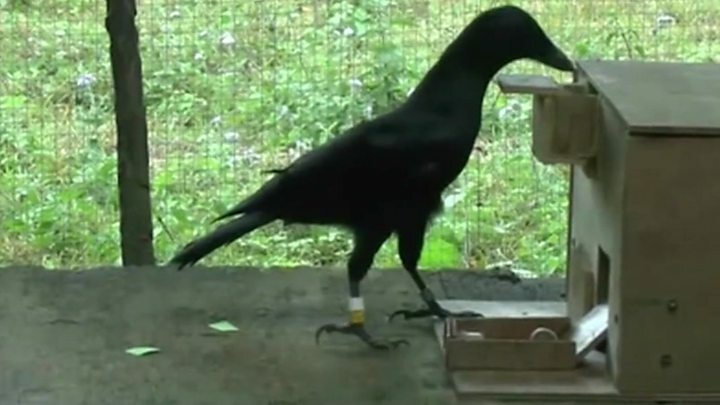 A small South Pacific island is home to a crow with remarkable abilities that have scientists hooked. New Caledonian crows make and use tools – including a kind of fishing hook. They can solve complex problems and have even been recorded capturing grubs by repeatedly poking them with a stick until they are so agitated, they bite. Read the full article at www.bbc.co.uk.